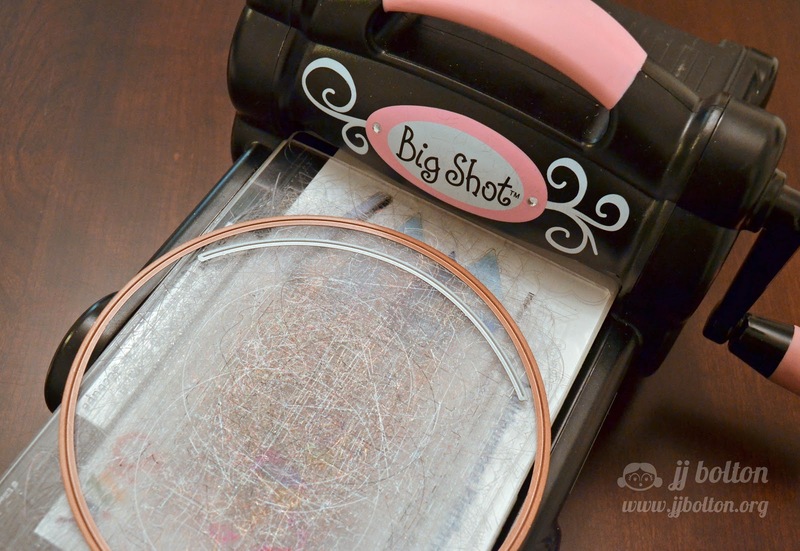 My first step was to die cut an A2 rectangle with the largest die from watercolor paper. 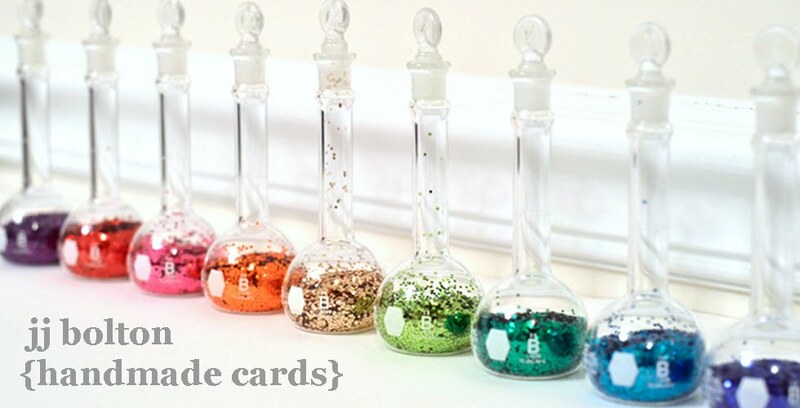 Then using the arc die, I cut 6 rainbow pieces. I purposely varied the width of each band of the rainbow for a more relaxed look:) Then I watercolored each piece separately. And here's a comparison of the arc die with a full circle die that I have. 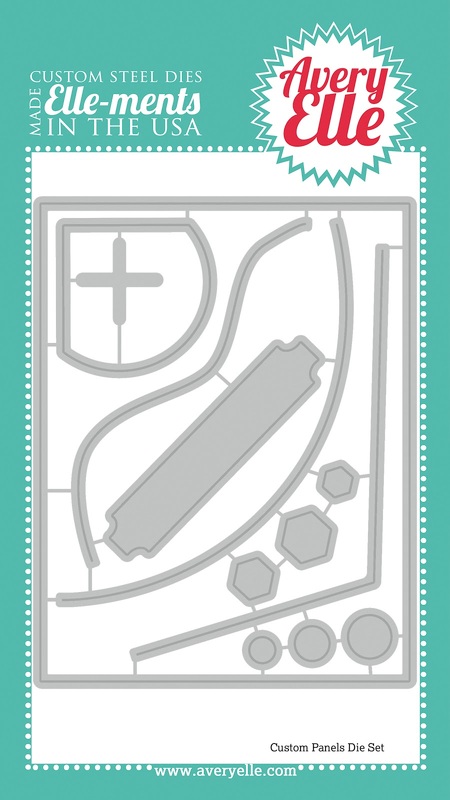 The smaller size of the arc die means you don't have to break out the oversized die cutters:) I hope you can see how versatile these dies can be! 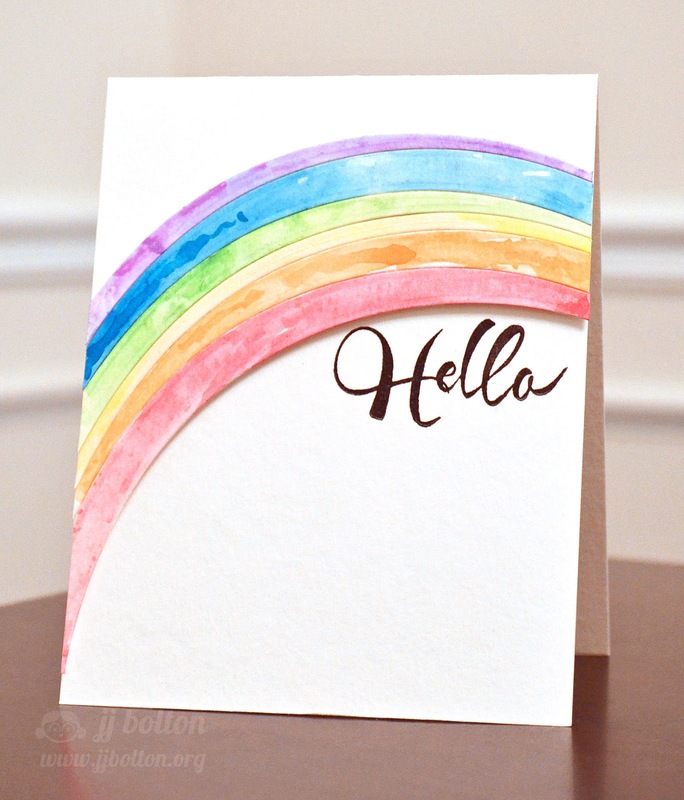 Love your watercolor rainbow card, JJ! Thanks for showing how cool these AE dies are! I don't know how I missed this post...What a fabulous water colored design, JJ! 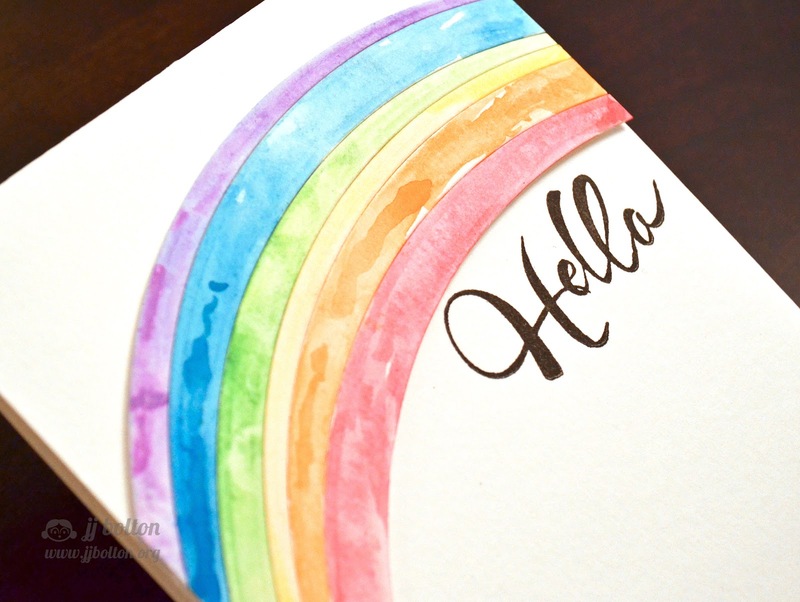 I love how you created your rainbow with the new arc dies...so perfect for your idea, and the sentiment is fabulous! Thanks for the demo on their versatility, too!